In these Tweet-worthy times, a major pop cultural moment such as the Golden Globes is an occasion to be commented-on, commiserated with, and laughed about amongst the general viewing public. Thanks to live-Tweets and global broadcasts, viewers at home can keep the jokes cracking on pace with the hilarious hosts, deciding which hits and misses go viral and which ironically unfunny quips get hashtagged #FAILS. Of course with Tina Fey and Amy Poehler running last night's show, there were plenty of moments to be remembered (and awkward mishaps to be screenshot). 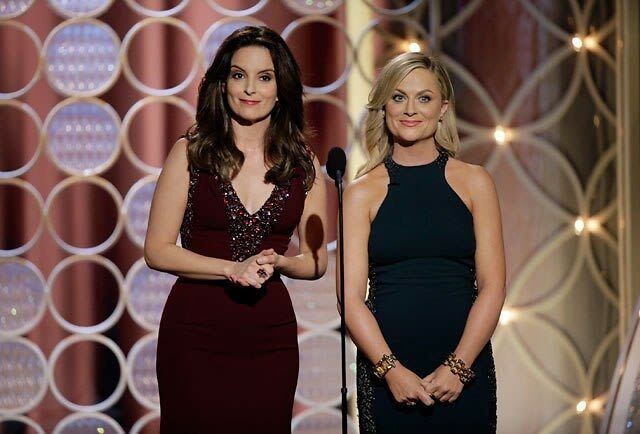 From slurred speeches to Leo's blushes, here are the best quotes of the 2014 Golden Globes, both on-air and beyond.